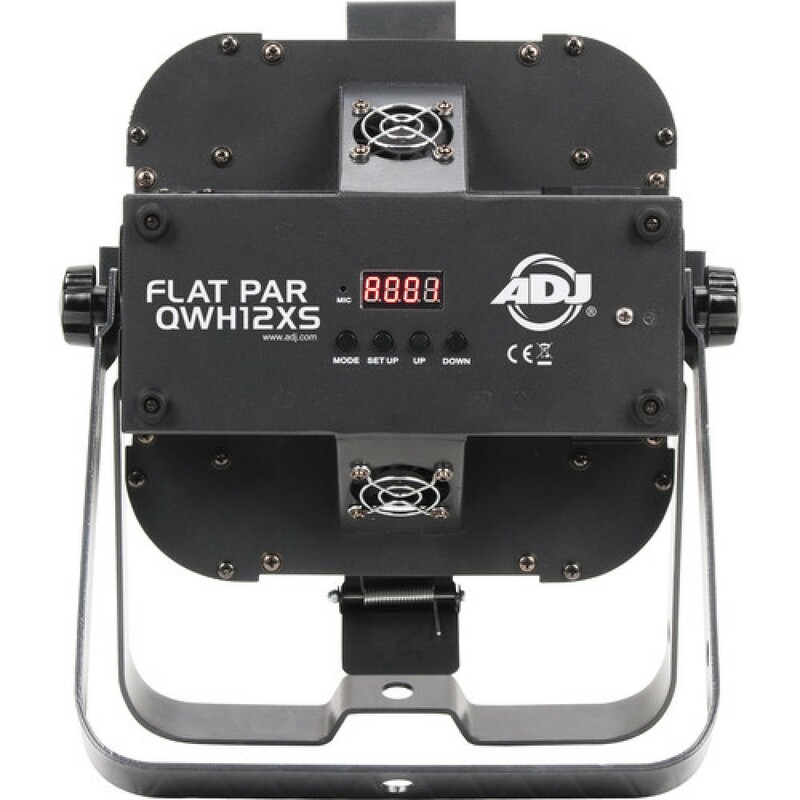 Shop for American DJ Flat Par QWH12XS ultra bright RGBW low profile lay flat par NEW MODEL Snoot Included. 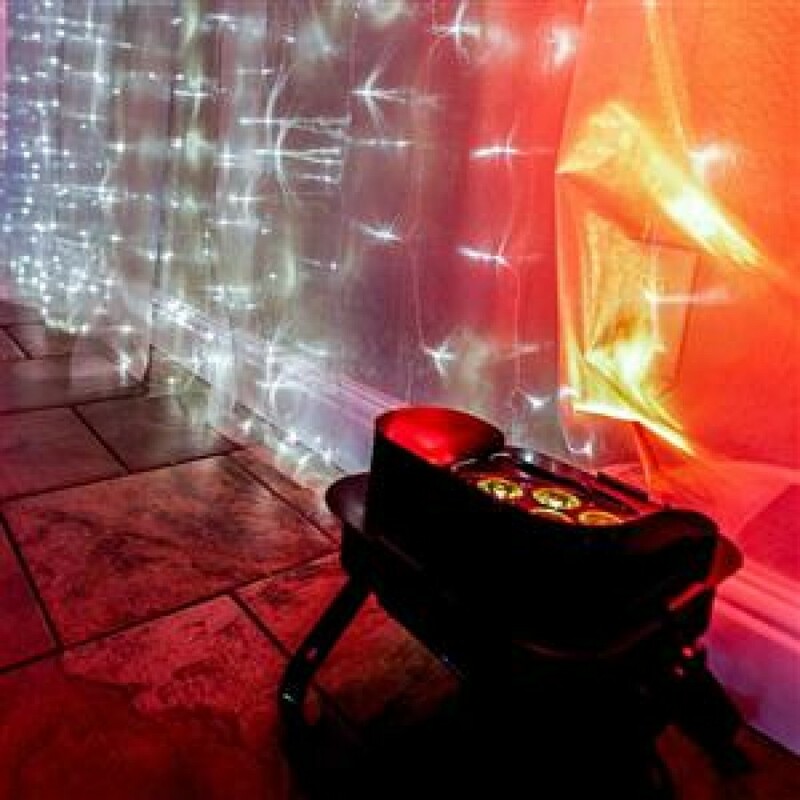 at World Music Supply for best price online. 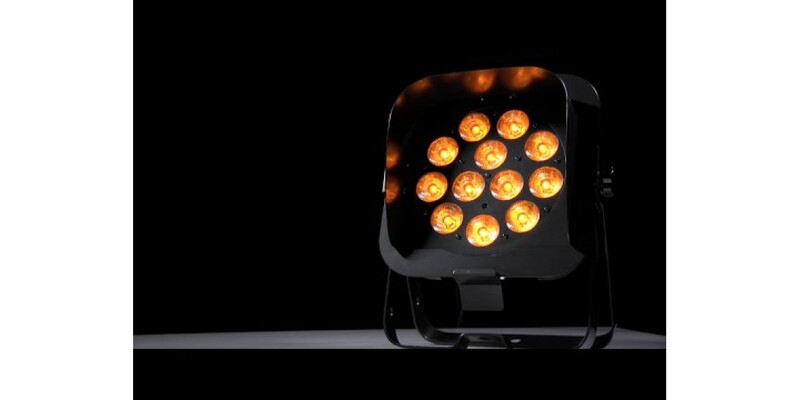 New Optics with Increased light output. 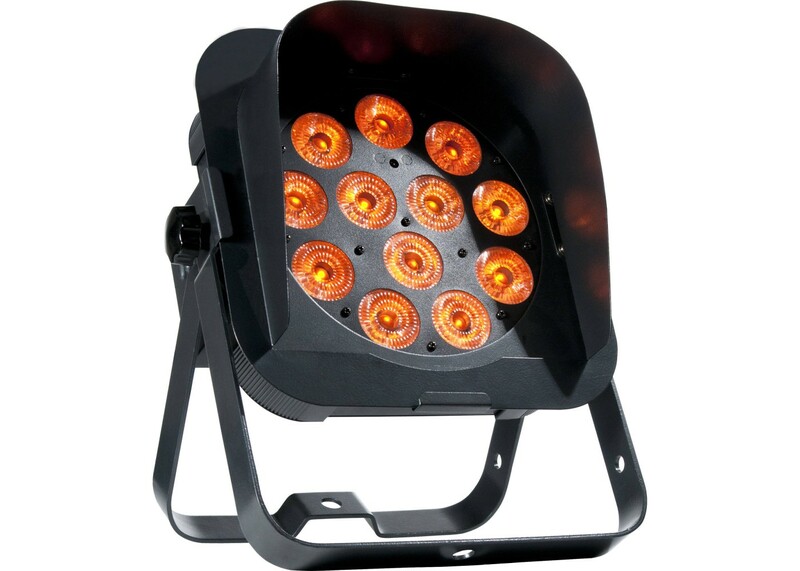 This 25 degree Lens gives the power for Truss warming and wall washing. 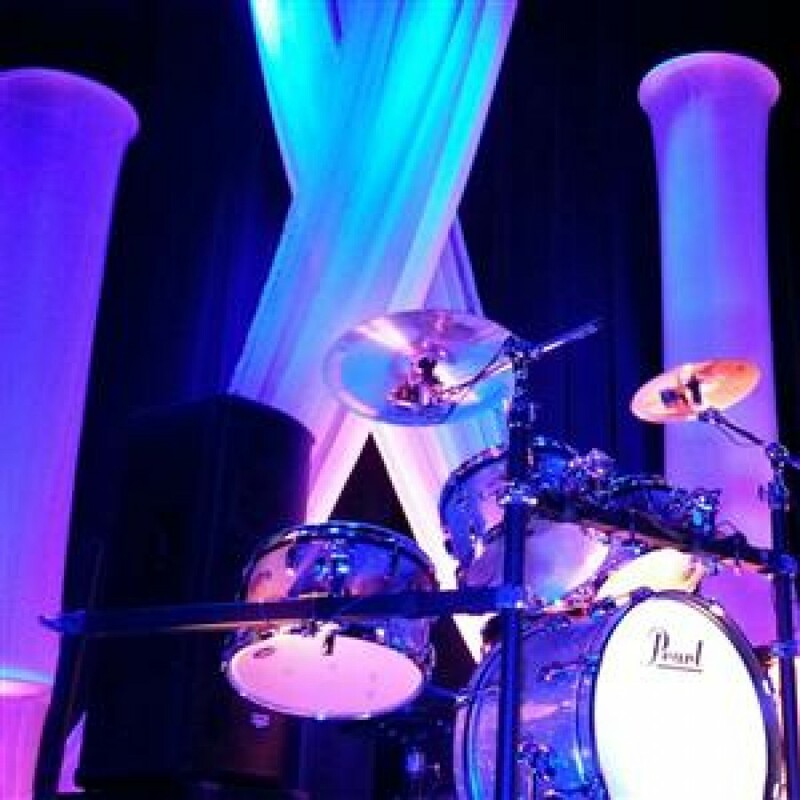 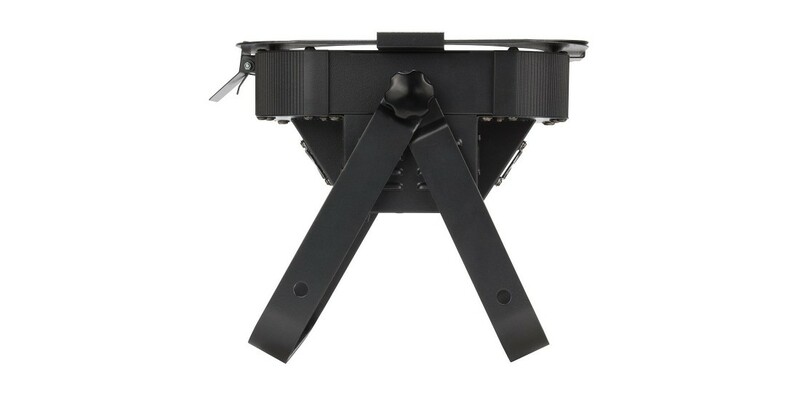 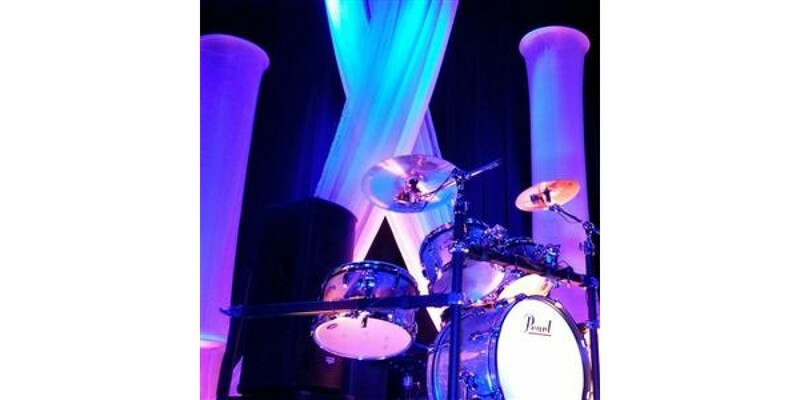 Take your color mixing to the next level with the American DJ Flat Par QWH12X professional low profile LED fixture. 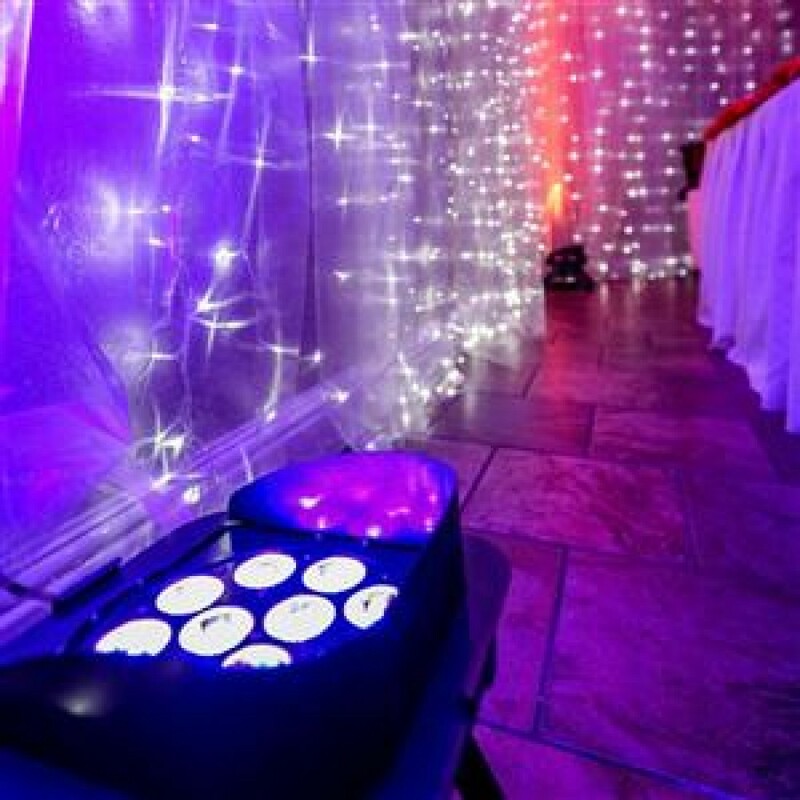 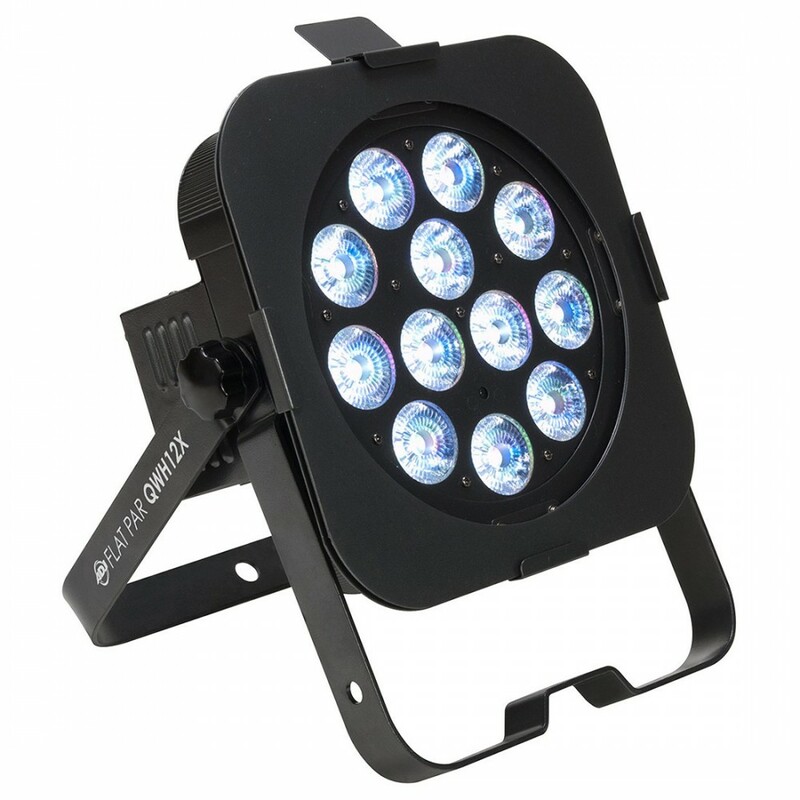 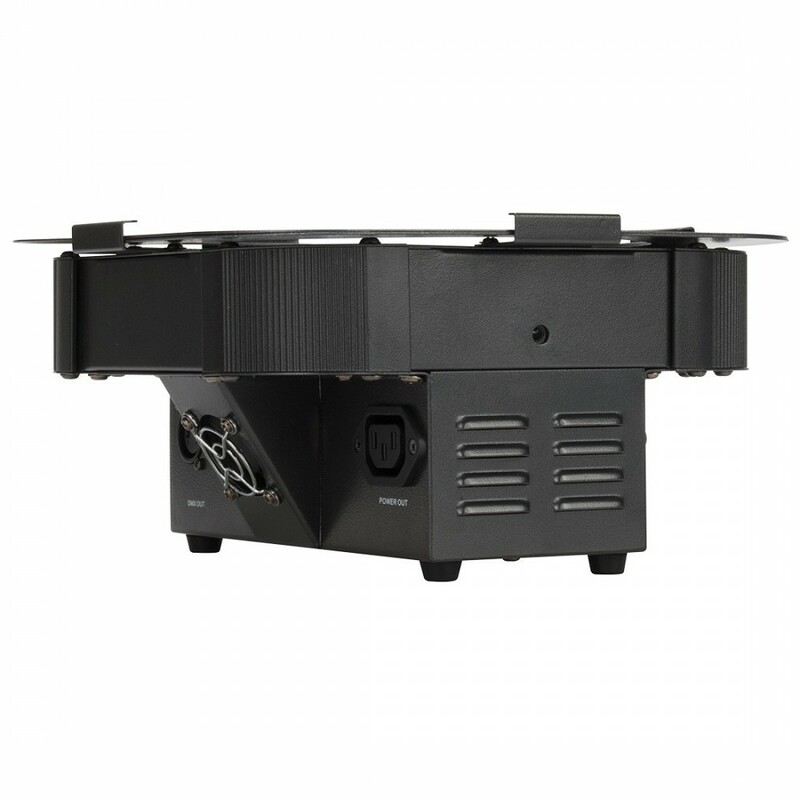 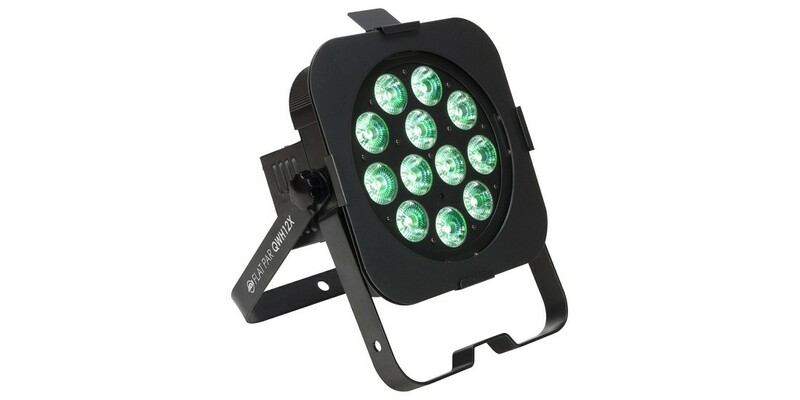 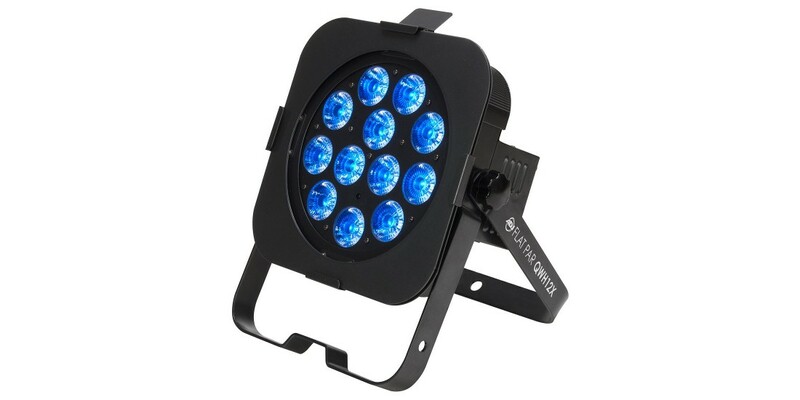 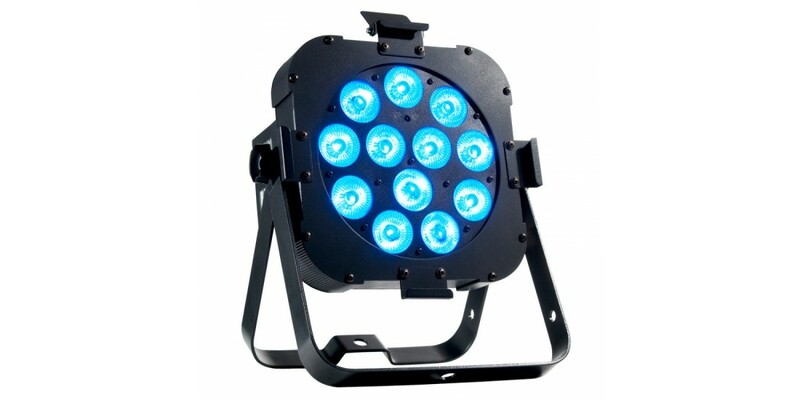 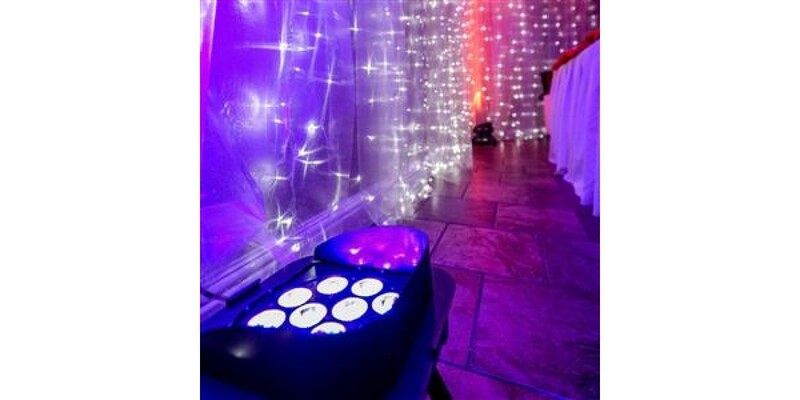 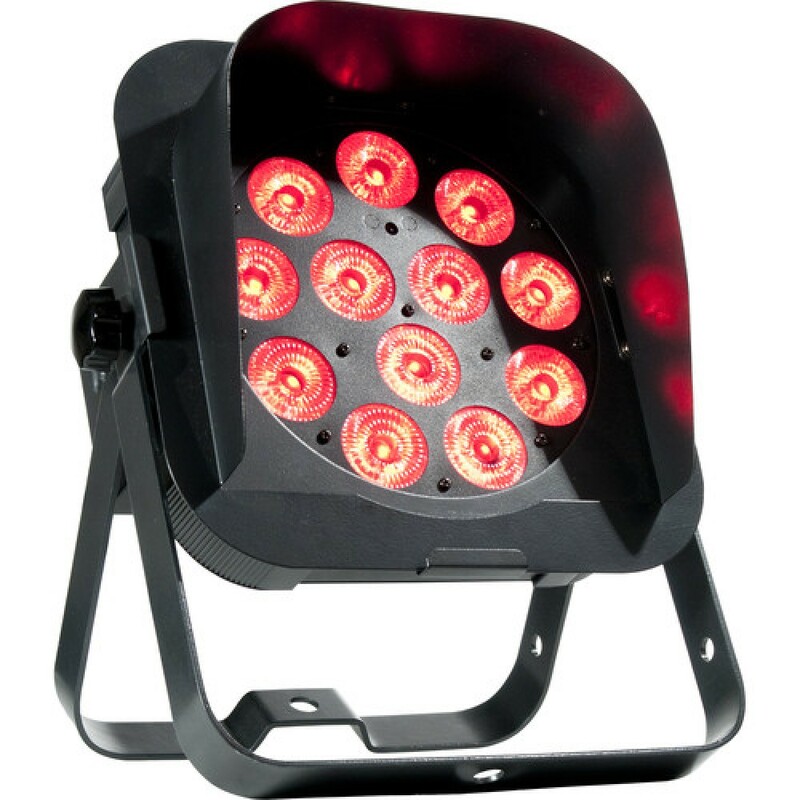 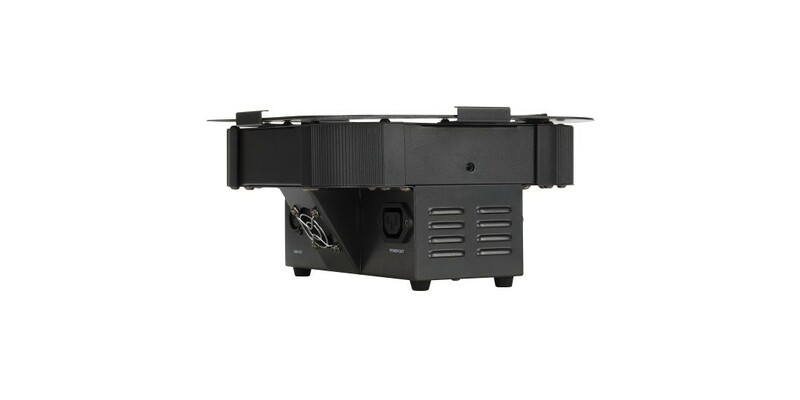 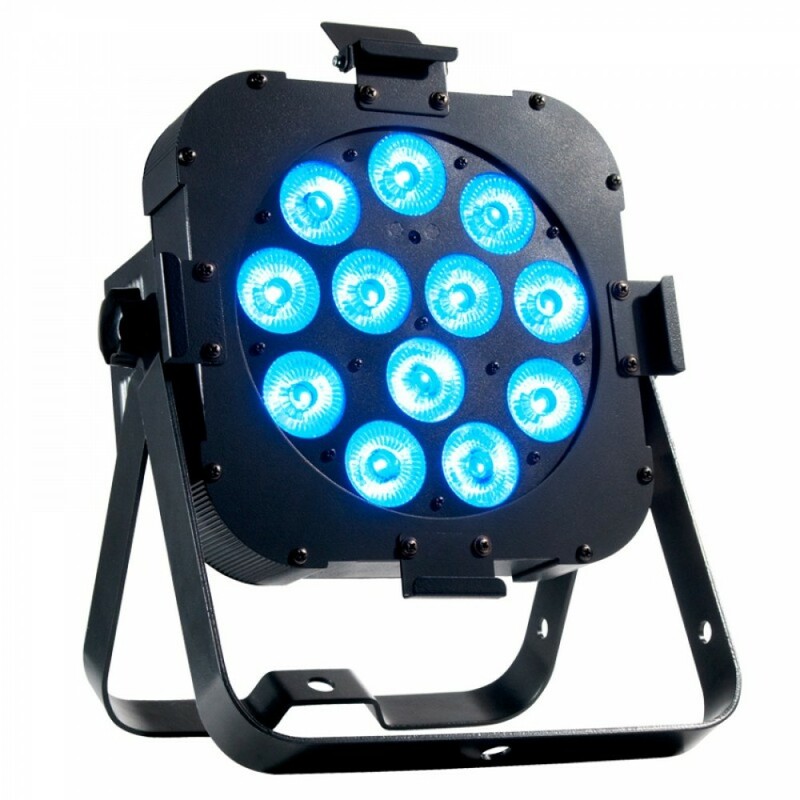 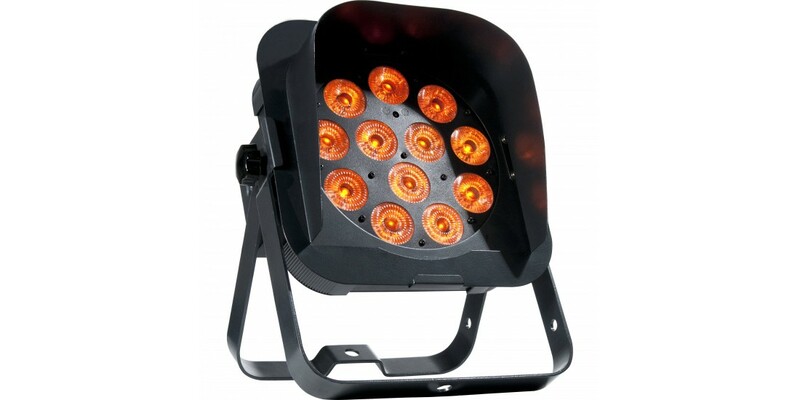 It features twelve 5-Watt QUAD LEDs (4-in-1 RGBW) with smooth RGB color mixing as well as a White LED to get the hard to achieve true cool white. 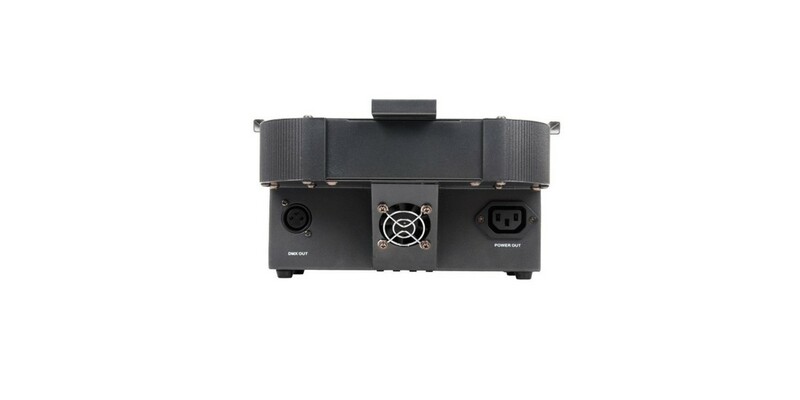 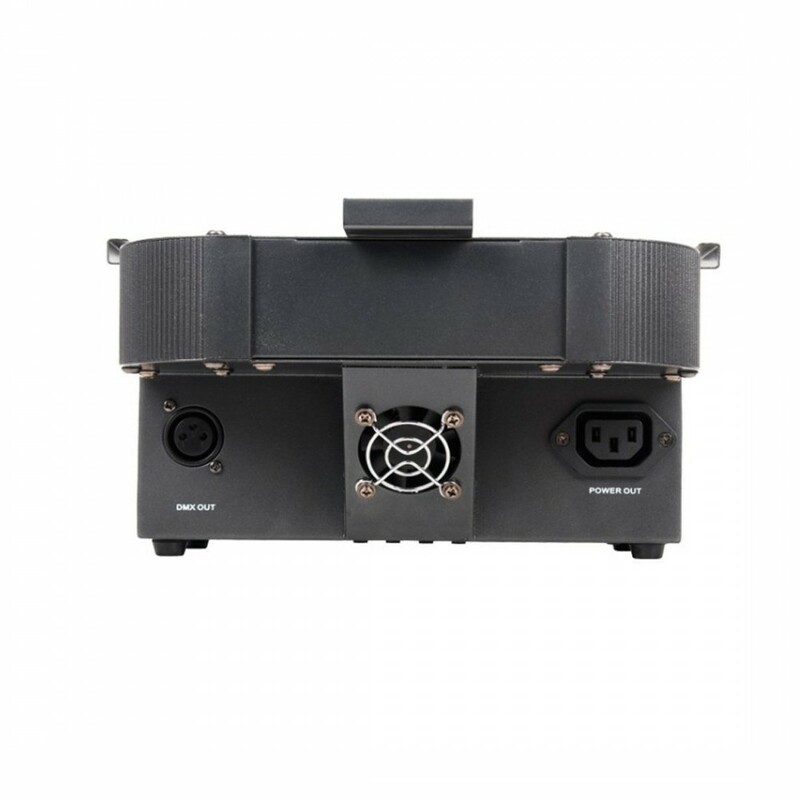 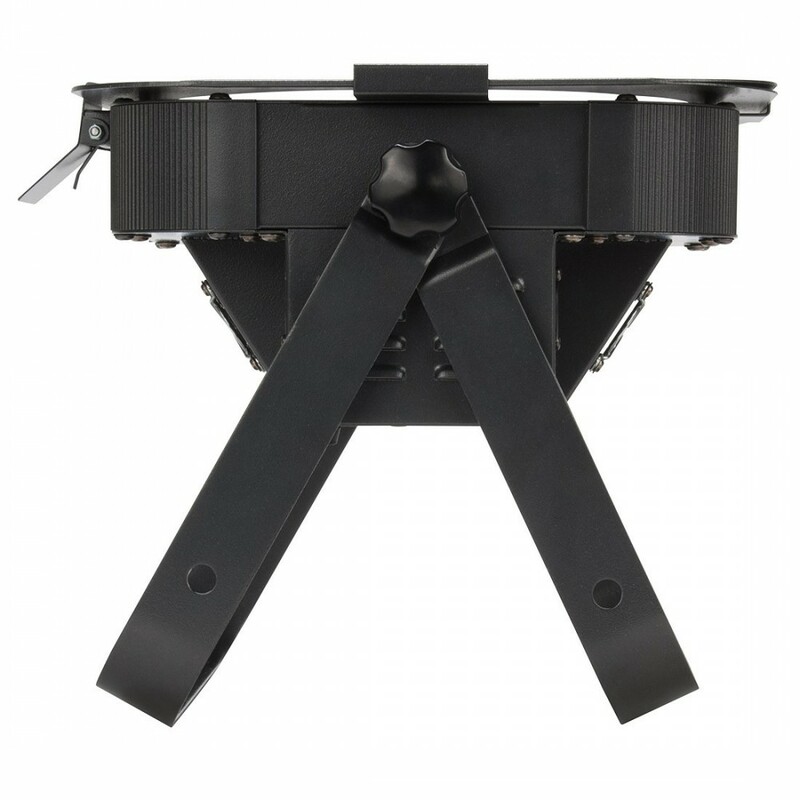 The units low profile, sideways power & DMX Ins/Outs and dual hanging brackets make it ideal for mobile entertainers, permanent installations and for inserting into truss or for uplighting. 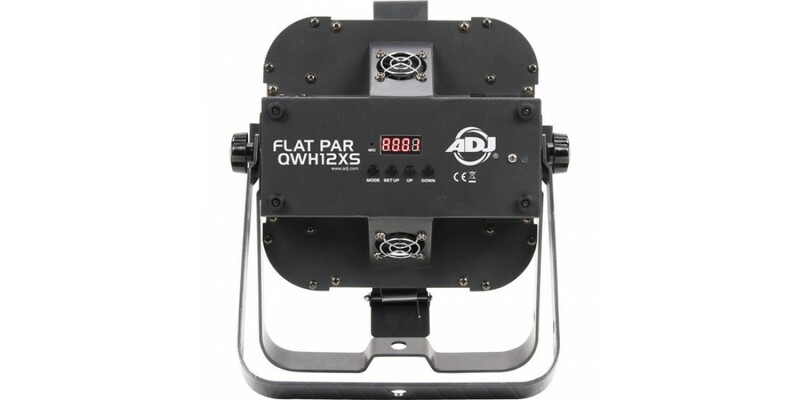 The Flat Par QWH12X has 8 different DMX channel modes, and may also run in Sound Active or Master/Slave modes. 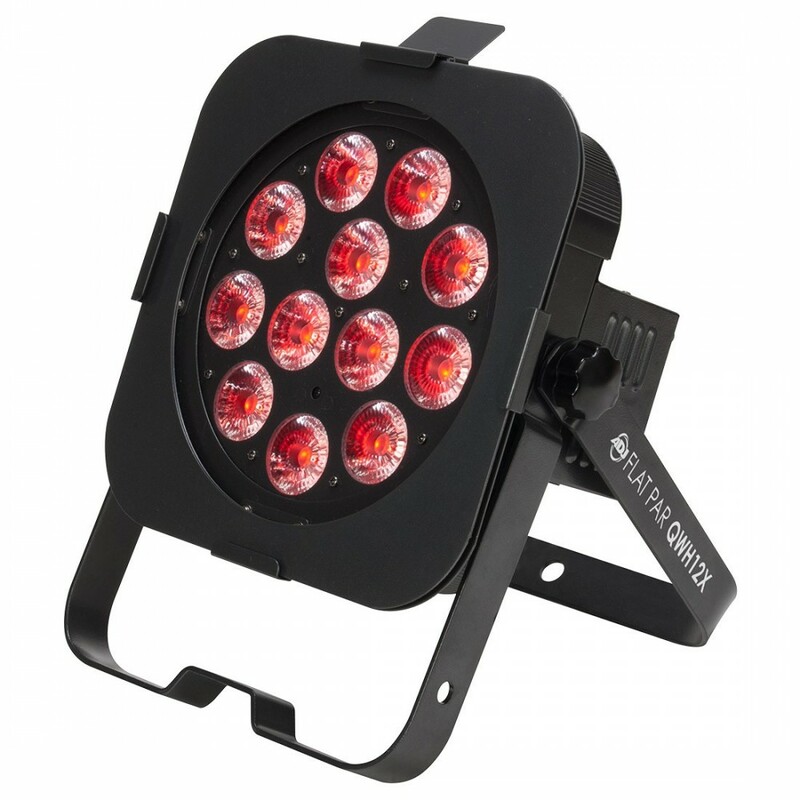 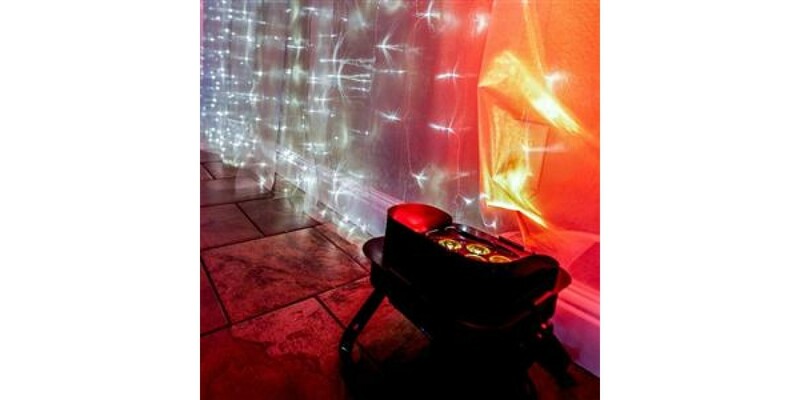 Users can also go wireless with the ADJ LED RC2 wireless remote (sold separately). 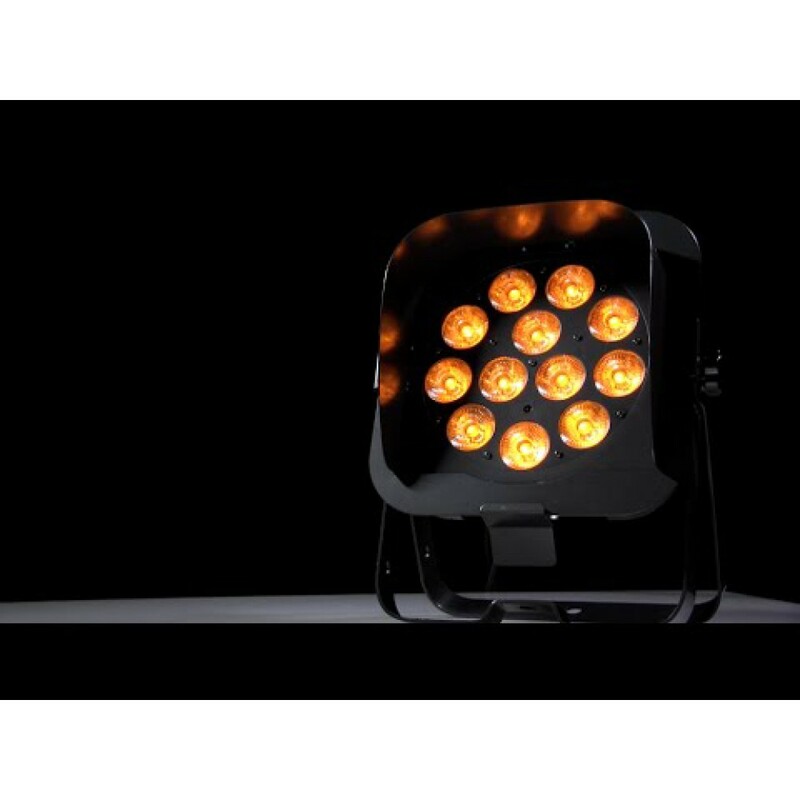 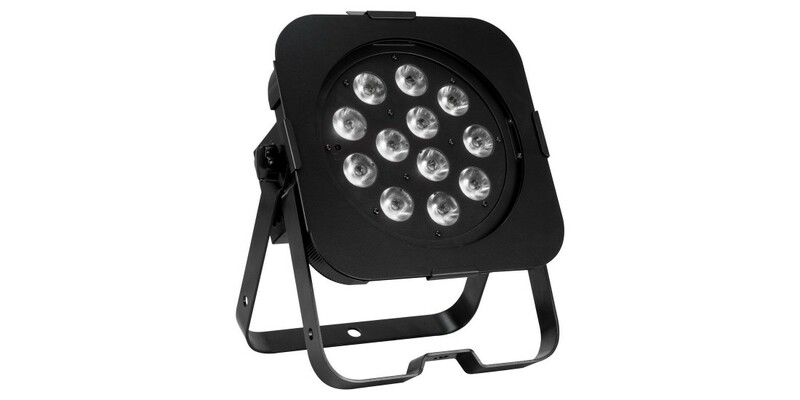 This LED fixture also features: 44 Color Macros, Electronic Dimming (0-100%), IEC AC IN and OUT on rear to daisy chain power and a 25-degree beam angle. 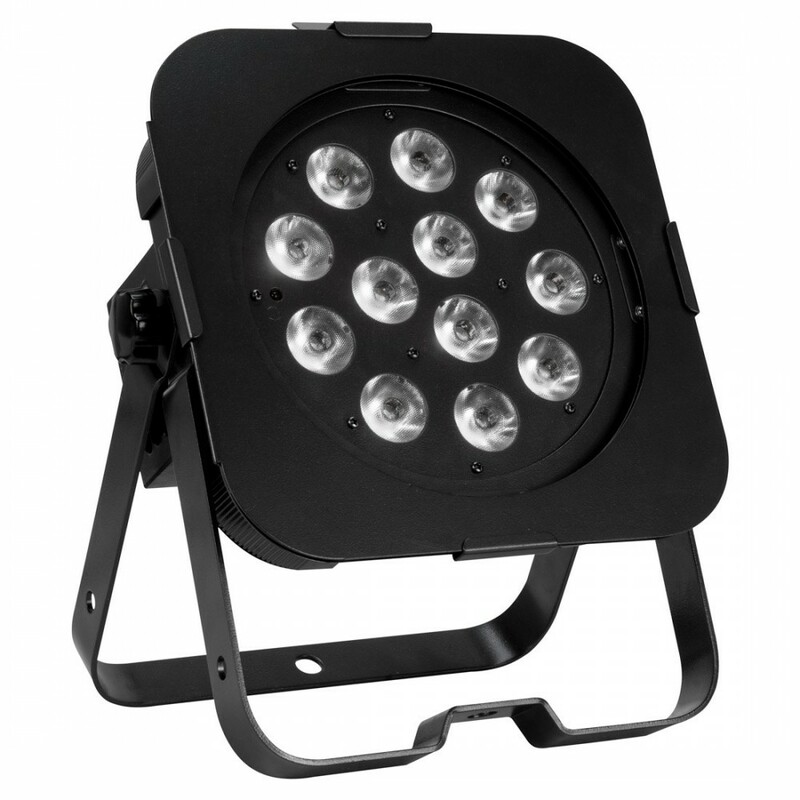 The Flat Par QWH12X LEDs are rated at 50,000 hours, and only draws 80-Watts of power per fixture.